Landowners in California's Central Valley have delivered a death blow to President Obama's signature transportation project. California Gov. Jerry Brown can not spend state bond revenues on President Obama's signature transportation project until the state can identify how they will pay for the entire $68 billion project, a California court ruled Monday. The decision almost certainly spells death for the project. 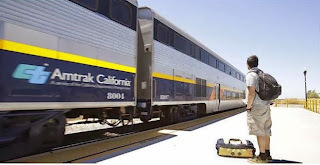 This August, Superior Court Judge Michael Kenny ruled that the California High Speed Rail Authority (CHSRA) “abused its discretion by approving a funding plan that did not comply with the requirements of the law." 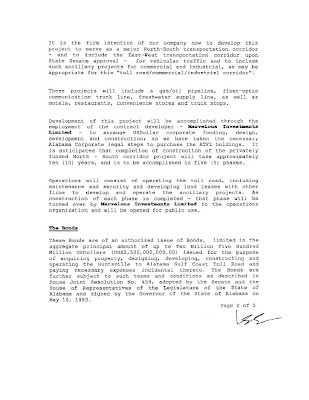 That law would be Proposition 1A (the “Safe, Reliable, High-Speed Passenger Train Bond Act for the 21st Century”), which required the CHSRA to identify “sources of all funds to be invested in the corridor” and complete “all necessary project level environmental clearances” before construction can begin. 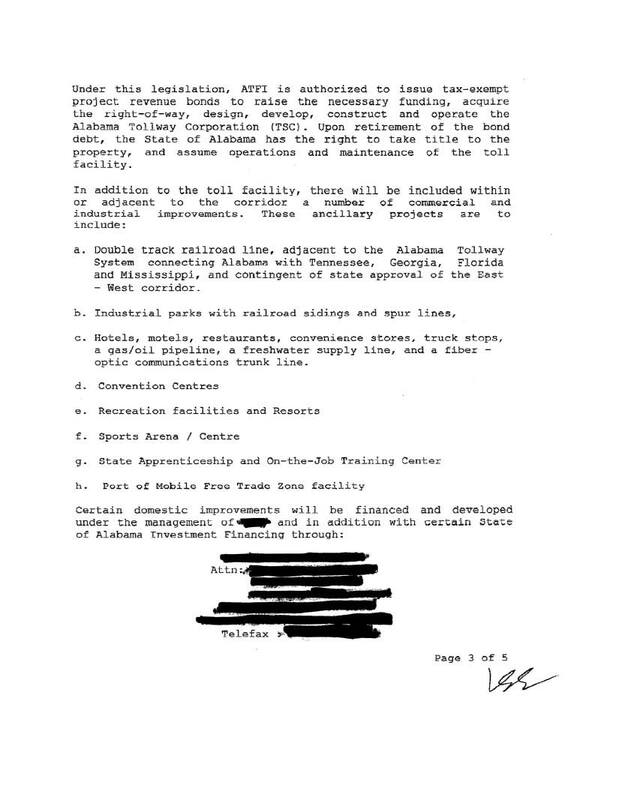 At the time, Democrats sold Obama's high-speed rail plan as a $40 billion project. But that number quickly skyrocketed to more than $100 billion, after California voters approved it, of course. The CHSRA then scaled the project back down (by cutting most of its high-speed capabilities in metro San Francisco and Los Angeles) to just $68 billion, where it is today. Through his failed stimulus law, Obama gave California more than $3 billion for the train, and the California legislature has approved more than $10 billion in bonds. But that still leaves more than $50 billion unfunded and the CHSRA has no plans on how to fill that gap. In August, Judge Kenny declined to invalidate a separate legislative appropriation for the project, but he left open the possibility that he could forbid the state from spending bond proceeds until the came up with a full funding plan. That is exactly what Judge Kenny did Monday. California is still free to spend the $3 billion that Obama gave them on the project, but after that, the CHSRA will be broke. It is unlikely California voters will approve more money for the project. A recent Los Angeles Times poll found that 52 percent of Californians now oppose Obama's bullet train entirely. The board that oversees California's High-Speed Rail Authority on Thursday unanimously approved a nearly $1 billion contract to start construction on the first leg of the $68 billion bullet train in the Central Valley, clearing the way for work to start as soon as this summer on what officials have said will be a tight construction timeline. The bid from a California-based joint venture was the cheapest out of five received by the state to begin work on the first 30-mile section from Madera to Fresno. But it also had the lowest technical rating for safety and design, drawing public scrutiny and prompting more than an hour of questions to the high-speed rail authority staff from board members. The board ultimately voted 6-0 to approve the $985.1 million bid. High-speed rail opponents raised questions at the meeting about the potential for cost overruns and the financial health of the lead company, Sylmar-based Tutor Perini Corp. The company is embroiled in a legal dispute over the 26-story Harmon Hotel in Las Vegas, a gleaming glass property built by Tutor Perini but never opened. Its owner, MGM Resorts and subsidiary CitiCenter Land LLC, want the structure torn down even before a jury hears a nearly $500 million construction defect lawsuit next January, arguing that the building is not structurally sound and could collapse in a strong earthquake. Tutor Perini argued before the Nevada Supreme Court this week that tearing down the building would destroy evidence of good work and leave the impression in jurors' minds that the builder was at fault. Separately, a group called Californians Advocating Responsible Rail Design submitted a letter to the board Thursday saying that Tutor Perini has had three "material changes" to its financial status that would disqualify it from being selected. They include a downgraded rating from Moody's in September 2012 based on the company's "weaker than expected operating earnings and debt levels." The company's chief executive officer, Ron Tutor, dismissed the criticism as "all nonsense" fanned by the media "to create controversy that doesn't exist." He said his company's net worth exceeds $1 billion. "Like most of the uneducated opinions you hear where we can't rebut them, they're not based on anything factual or real," Tutor told reporters. "We've built more large civil works programs in this state than anyone else, virtually all of them successfully and without the cost overruns they all allude to." Most of the board's questions appeared intended to enshrine their scrutiny in the public record, though none was overly critical. "The questions really boil down to, can the successful bidder do the job, and will they do it within the confines of the contract as contemplated by the authority," said board member Jim Hartnett. "The questions that I had were answered to my satisfaction." The contract calls for clearing land and buildings from the proposed bullet train path, creating grade separations and tunnels and diverting some waterways. Contractors will create the foundation for a train track without actually laying any track. Board Chairman Dan Richard did not vote or participate in the conversation because he had previously worked with one of the firms involved in the bid, Parsons Corp. The bidding process also was criticized after it was revealed that the authority changed its rules after the process was first made public, allowing the cheapest bid to be selected even though it had the lowest technical rating for safety and design quality. The bid came in below the authority's estimated cost of $1.2 billion to $1.4 billion. Under the new criteria, all the bids that met the technical criteria were considered, leaving the door open for the proposal from Tutor Perini-Zachry-Parsons. The total cost of each bid was kept in sealed envelopes while the other criteria were weighed, including a three-step technical review to ensure the bids met all the qualifications, the authority's chief counsel, Tom Fellenz, said Thursday. The technical criteria were based on safety measures, engineering, scheduling, design quality, project approach and solutions to possible construction problems. Fellenz told the board "the integrity of the process was pristine." The competing firms will also receive a payout of $2 million each and the rail authority will get to keep the engineering and design work they submitted in their proposals. Lawmakers approved the first phase of the planned 800-mile line last summer, allowing the state to begin selling $2.6 billion in bonds for construction and tap $3.2 billion from the federal government. The money is contingent upon completing the first phase of the project by 2017, requiring what officials say is an unprecedented construction pace. But the authority intends to first begin spending federal funds as it awaits the outcome of a lawsuit filed by Kings County officials and landowners seeking to stop the state from spending the proceeds of $10 billion in bonds approved by voters for the project in 2008. They argue that plans for the high-speed rail line have changed so dramatically since California voters approved Proposition 1A that they no longer comply with what voters were promised. The case is pending before a Sacramento County Superior Court judge. A state bank is owned by the public and is not a private corporation. It is, thus, a public bank. The banks that do business with the public are owned by private investors, just as they are now. They are not owned by the state. A system of state-owned banks on Main Street would be a socialist or communist system and state banks represent quite the opposite. A state bank is an administrator. 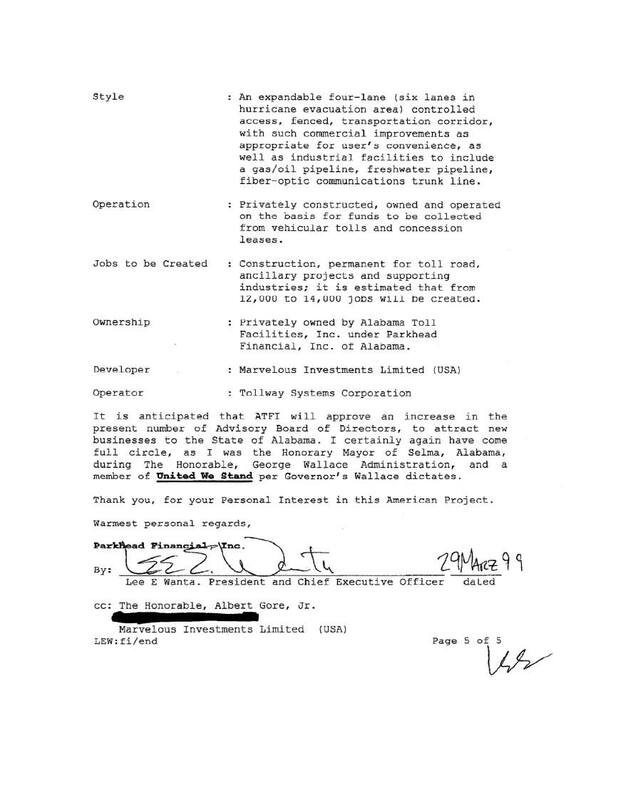 It grants charters to banks and acts as a correspondent bank for them. 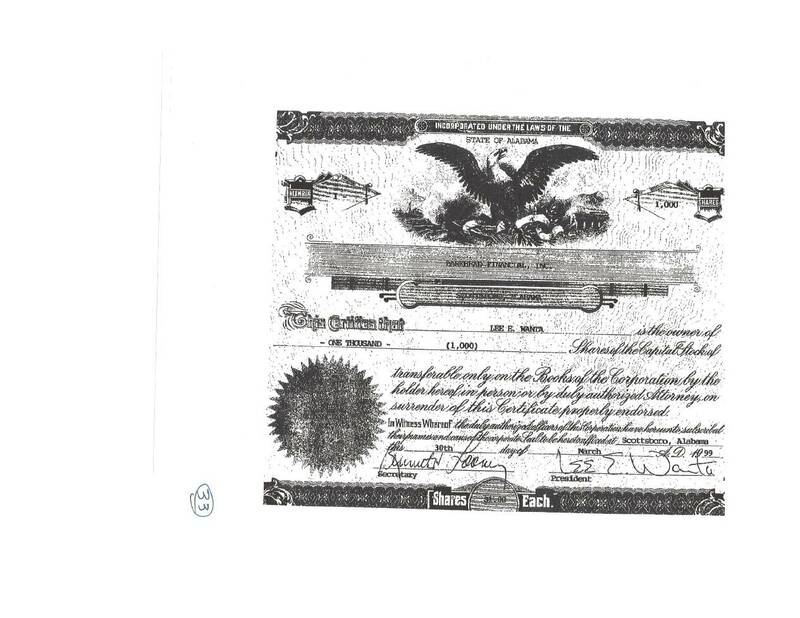 In a state that has its own state bank, nationally-chartered banks (banks chartered by the Comptroller of the Currency) are still invited to do business. The primary difference for them in the new environment is that the state bank now acts as the correspondent bank, not the nationally-chartered bank. 1. Implement a state bank similar to the system in place for 93 years in the State of North Dakota. A. Has enjoyed an unemployment rate as of July 2011 of 3.3%. B. With a population of about 650,000, the Bank of North Dakota has, during the past ten years, paid the State Treasurer more than $325 million from bank profits. C. In 2010, the worse economy in recent history, North Dakota had its largest financial surplus in history. D. North Dakota tops the list of state economies, year after year. E. In 2011, North Dakotans will see almost $500 million of their money returned to them in the form of income and property tax cuts. Combined 2009 and 2011 tax reductions, the average North Dakotan will enjoy a 30 drop in percent tax liability. The Legislature also funded $342 million in property tax relief. The owner of a $150,000 home will enjoy a tax reduction of $506. $2.125 million tax reduction, financial institutions (a drop from 7 percent to 6.5 percent). G. No bank failures during the past ten years; the lowest home foreclosure rate in the nation; the lowest credit card default rate, too. Thus, it is clear that those who support education/schools should support state banks because the bank profits generated go into the State Treasury and pay for schools (so property taxes can be reduced). Those who support retail sales should support state banks because an unemployment rate of 3.3 percent stimulates retail. Those who support low corporate taxes that encourage businesses to move to the state or encourages people to start new businesses should support state banks – the economy that results from a state bank makes it possible to lower corporate tax rates. Financial institutions pay lower taxes so loan funds for business development are available for growth. Specifically, what does a state bank do that causes such immediate and positive results for a state’s economy? In states other than North Dakota, the billions of dollars received from taxes and fees are deposited in large commercial banks – just like those that are borrowing trillions of dollars from the Federal Reserve System… from taxpayers. In North Dakota, these deposits become “captive.” They stay in the state. The corporate headquarters of Bank of America (Charlotte, NC), Citigroup (New York City), Wells Fargo (San Francisco) decide what they will do with those deposits. They are famous for… what? Their history says they invest in mortgage-backed derivatives, for one thing. Or, the too big to fail/jail banks lend your tax dollars that your state deposits in them to businesses in their home states, not in your state. Or the Federal Reserve secretly lends the money to Wall Street or foreign banks and businesses. Your tax dollars leave the state, in other words. In North Dakota – or in any state with a state bank – the tax dollars paid by the citizens of the state remain in the state. Every state takes in taxes and fees every year. In North Dakota, these revenues are deposited in the state bank which, in turn, makes sure a large percentage of the money gets invested in the state’s economy. And, the state bank gives a portion of its earnings back to the State Treasury. North Dakota is the only state that has had a continuous budget surplus since before the financial crisis. They have had no bank failures in the past ten years. Their mortgage foreclosure rate and credit card default is the lowest in the country. A July 18, 2011 Associated Press newspaper article reports jobs in North Dakota increased by 61,000 since 2000. That doesn’t sound like a lot of jobs, but remember, this state has a population of less than 700,000. Of those jobs, 17,000 were created between 2008 and 2010 – a time when most states were bleeding jobs. The Federal Reserve System, a non-government private corporation has since 1913 been determining monetary policy for the United States. A good case has been made by highly recognized, eminent economists around the world who say America’s monetary policy is destroying our economy. A recent partial audit of the Federal Reserve shows this private corporation loaned $16 trillion in near zero interest secret loans to American and foreign banks AND businesses. The usual culprits – Citigroup received $2.5 trillion; Morgan Stanley received $2.04 trillion, Merrill Lynch got $1.9 trillion and Bank of America got $1.3 trillion (since Bank of America and Merrill Lynch are the same corporation, B of A Inc. got the most money: $3.2 trillion). But it wasn’t just American bankers that got nearly interest-free loans. About $3.08 trillion went to foreign financial institutions all over Europe and Asia. The point is, while the Fed was making the low interest rate secret loans (for which U.S. taxpayers are on the line), 6.5 million American homeowners were suffering through delinquent and foreclosed mortgages. Why are they in foreclosure? Because the monetary policies of the Federal Reserve System caused a real estate bubble that resulted in the loss of hundreds of billions – perhaps more than a trillion – dollars in primary residential real estate values. They are in foreclosure or behind in house payments because Federal Reserve monetary policies have resulted in a rotten economy. Citizens in all states question the wisdom of the Fed’s monetary policies and the taxation of future generations of American children required to pay for the monetization of United States debt. Citizens of the states have expressed concern that the Federal Reserve System is using their tax dollars to prevent the failure of banks in foreign countries while their American financial services system is being compromised by what Congress has chosen to call “too big to fail” banks. They complain that they are being “fed to the wolves” or “thrown to the four winds of fate” by the policies of the Federal Reserve System. Because the Federal Reserve System refuses to allow a complete audit of the trillions of American taxpayer dollars it uses for debt monetization purposes, it is impossible to evaluate precisely how that private corporation is spending America into debt. The Federal Reserve System is a private corporation, not a part of the United States Government, and is referred to by many banking experts as a “cartel,” (as OPEC is a cartel). The Federal Reserve System generates private corporate profits by collecting interest on the debt it is also responsible for generating… a clear “conflict of interest” because when the nation is in debt, the Federal Reserve earns profits on the interest paid on that debt. The Federal Reserve System profits when America’s debt is high. When debt is low, it does not. "If folks lose faith in the dollar, we need to have some kind of backup," North Carolina State Sen. Bright told the Spartanburg Herald Journal's Stephen Largen. As of March 2010, there were twelve new declarations of State Sovereignty in progress in state legislatures around America. They include Alabama, Nebraska, Rhode Island, Wyoming, Washington, Indiana, Kentucky, Georgia, Kansas, Missouri, Mississippi and Maryland. Obviously, state legislators see potential problems. Legislators responsible for the reforms required to best protect the citizens they are sworn to serve must choose carefully from a broad range of reforms. Among those reforms must be a means by which bank lending to independent businesses can be stimulated. A vast majority of taxpayers are employed by independent businesses which have been the hardest hit by the credit freeze caused by the reckless behavior of Wall Street banks and Federal Reserve policies. 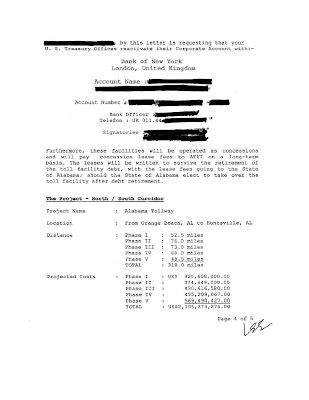 As of March 2011, there were state-owned banking bills pending in eight states to either form or do feasibility studies to assist in forming legislation. This year, bills have been introduced in Oregon, Washington, Massachusetts, and Maryland. Bills from 2010 are pending in Illinois, Virginia, Hawaii, and Louisiana. The Center for State Innovation in Madison, Wisconsin, was commissioned by Washington and Oregon to analyze the impact of a state bank in those two states. The conclusion: State-owned banks in Washington and Oregon would, CSI said, have a positive impact of substance on employment, new lending, and state and local government revenues. In September 2011, the California State legislature passed state banking legislation and it is awaiting Governor Brown’s signature. I began writing in my columns two years ago about how a simpler, more direct and less confrontational alternative than declaring sovereignty or legislating the state’s right to create its own currency exists for state legislators to take appropriate protective action to protect the citizens of their state from the clearly potential failure of the federal monetary system. I was the first banker and journalist to write about the need for state banks. When I was a consultant (1979-1993), my daily rate was $2,000. I was paid for my opinion. In 2011 dollars, that amount would probably have increased to somewhere between $5,000 and $10,000 per day. This is a no cost opinion: I believe the establishment of a state bank offers the most important alternative state legislators can find. It is a way to protect a state’s sovereignty without declaring it, and a state bank makes it possible for a state to issue its own currency (should it become necessary) without actually issuing it. A state currency without a state monetary distribution system is like an impotent bull: Unable to perform. More important, legislation declaring state sovereignty or the need for a state currency may further debilitate what little confidence remains in the federal system whereas the establishment of a state bank does not. For example, currently the only way to clear checks written on deposits in federally-chartered (or state-chartered) banks is to utilize the check clearing system at the Federal Reserve System. The Bank of North Dakota clears its own checks. If a state declares sovereignty (as several have said is their right), it must be done both de jure ("according to law") and de facto – or, "in reality." A state may say it is sovereign, but sovereignty must also be accepted by other nations and states. For said declarations to hold legal weight and to be taken seriously nationally and internationally, the declaring (de jure) state must, according to international law, have a definable territory, it must have a governing body, and it must be able to exercise and control its own monetary power (de facto). Any state can comply with the first two requirements (definable territory and and governing body). Logic dictates that no state can exercise monetary power when tied to a failing federal system of finance and Federal Reserve Notes that may – or may not – maintain value. That is the basis of the people’s concern for their economic well being. One thing is absolutely certain. Without a state bank, states have no alternatives should the federal system collapse. The state system will collapse with the federal system. We all hope that doesn’t happen, but the economy is not improving. It gets consistently worse. With a state bank, both state sovereignty and currency creation are possible. What legislators need to think about is this: Without a currency distribution system independent of the federal system currently in place, states have no alternatives but financial chaos available to them – and that is what they will get should the system fail. Since local banks are a key to the ongoing economic stability and are often the sole source of independent business growth for communities, statistics indicate it is time for our legislators to look at lawful alternatives available to the state that can stimulate economic growth and taxpayer confidence. Historic results over a period of 93 years at the Bank of North Dakota proves the value of state banks. Of all the alternatives available, one fact stands out as identifiable truth: States must be prepared to quickly come to the economic rescue of their citizens should the need arise. The financial services industry currently creates an unsafe economic environment in which all alternatives must be kept open to states that want to serve the people they represent. 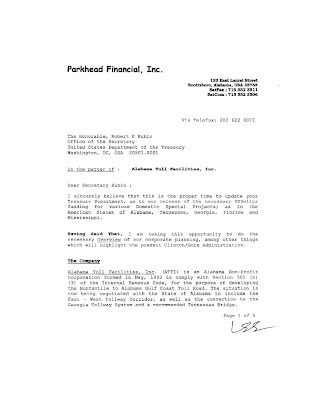 As it relates to the economic well-being of any state’s citizens, a state bank offers the least offensive alternative to the dangers of what may be a failing federal financial system while concurrently supporting all potential alternatives required to save citizens from extremely painful economic failure at the federal level. As long as a State is tied to the federal system of finance, it is impossible to declare sovereignty or create a state currency because no monetary distribution system is available. The United States is $15 trillion in debt. We are spending $1.50 for every $1 in revenue we take in. That is unsustainable. 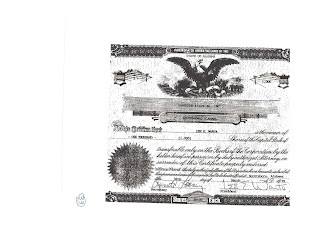 Before any new dollar or Federal Reserve Note is printed, it is 46 cents in debt – and thus, it is not “a dollar” nor what the Federal Reserve purports a Federal Reserve Note worth $1.00. I’m not a lawyer and don’t know the lawful implications of that, but I do know that if I turned a piece of paper into something and represented it has having the value of $1.00, I’d be arrested for counterfeiting. Our problem in America today is too much centralized power. The best way to solve that problem in the economic sector is to implement state banks… a system that de-centralizes the power of the Federal Reserve System. In short, without access to a state-owned system of banking similar to the only such system in the country – North Dakota – it is impossible to be properly prepared to protect any state’s citizens against the devastation that can result from a failure of the federal financial system. Equally, at this time there is no legal reason barring any state from implementing a state bank similar to that 93-year old system in the state of North Dakota. A state bank is owned by the public and is not a private corporation. The banks that do business with the public are privately owned, just as they are now. The state bank acts as an administrator, granting charters to banks and acting as a correspondent bank for them. Banks doing business with loan, deposit and trust customers in any state would, under a properly-structured state bank system, continue to be privately owned. The banks are privately owned but are chartered by the state rather than the Comptroller of the Currency in Washington, D.C. That is the primary change that occurs when a state owns its own banking system: The state, rather than the federal government, charters the state banks doing business in the state and the state establishes the qualifications private investor banks must meet to provide banking and other financial services to citizens. The state establishes and/or approves acceptable loan policies at banks it charters. The state bank becomes the correspondent bank for independently owned banks it charters. 1. Fractional-reserve banking has played a huge role in creating too much currency from thin air; that, in turn, results in the inflation that has debased our currency. The only logical outcome to fractional-reserve banking is inflation. Inflation is not the result of an increase in the cost of good as much as it reflects a decrease in the value of the currency. I recommend a return to the lending policies in place during the 1970s and 1980s. In the good old days, bank growth was dependent on bringing new deposits into the bank. A bank could lend a percentage of its deposit base. That percentage was sometimes determined by bank regulators… usually up to 70 percent of the deposit base, depending upon overall bank loan quality. Banks make money on loans (loan interest) and lose money on deposits (they pay interest to depositors). Forcing bank growth to occur on the basis of deposit growth is good… it means there is business development and new jobs in the community. If those things aren’t there, bank growth through new deposits is not possible because new deposit accounts don’t appear when jobs aren’t being created. Fractional-reserve banking makes bank growth dependent upon the extension of credit. If a bank makes a million dollar loan, the Federal Reserve System makes it possible for the bank to lend $900,000; ten percent of the million dollar loan goes into the Federal Reserve System. Thus, the name “fractional-reserve” banking. In other words, because the bank made a million dollar loan, $900,000 of new currency has been created by the Federal Reserve fractional-reserve policies. Creating money out of thin air results in reduced currency value and that, in turn, causes prices to rise… purchasing products with a currency that’s losing value requires more of the failing currency to purchase it. The system of fractional-reserve banking must be kept out of the state bank system. It is a major reason for the failure of the federal system and should not be brought to the state level. It will, in the long run, cause them to fail, too. A state bank administers the granting of state bank charters on the basis of the requirements established by the Advisory Boards created by the state legislature. A state bank is not, as many people think when they hear the words “state bank,” equivalent to “state-chartered banks” (which have been in existence for many years in most states but which are tied to the federal system of banking). A state owned bank operates its own system of banking. It grants member charters to independent banks (much like the Comptroller of the Currency grants national banking charters to national banks). Though a state bank must comply with federal banking laws, the state bank, not the Federal Reserve System, establishes monetary policy for the financial institutions it charters. A state bank may perform all functions currently performed for member banks of the Federal Reserve (such as check clearing) and the Federal Deposit Insurance Corporation (such as insuring customer deposits). The Bank of North Dakota does both things for the state bank but its member banks must currently clear checks through the Federal Reserve Banks and deposits must be insured by the Federal Deposit Insurance Corporation (FDIC). Should the federal system fail, both check clearing and deposit insurance could be included in the state system. A state bank can (and does, in North Dakota) function as a correspondent bank for its member banks. It can write mortgages… and, in the current real estate market, a state bank can help establish a floor under the ongoing, downward spiral of real estate values. There have been no bank foreclosures in North Dakota for the past ten years. I recommend that state banks be prevented from selling real estate mortgages to Freddie Mac and Fannie Mae both of which sell mortgages to Wall Street banks where they are still, even after all of the trouble, included in mortgage-backed derivatives (which I term “worthless pieces of paper”). Properly structured state banks are not operated by politicians. Rather, with a well-written legislative Act, the state requires the bank to be run by professional bankers under a well-controlled environment of positive regulation. Since state bank employees are public servants, and since they are not directly involved in making loans to the public – that is done by the privately-owned independent banks serving the public – no bonuses, commissions or fees for loan generation are paid to state bank employees – or, to executive management of the bank. State-owned banks, properly structured, do not compete with community banks. Rather, they support them. A state bank uses state funds (now kept in the state rather than being sent out-of-state to a “too big to fail” bank) to provide credit for local growth-based projects. Currently, funds from state taxpayers leave the state and are leveraged for international investments. This creates no jobs for state residents. The Bank of North Dakota is a member of the Federal Reserve System. It is a member because it chooses to use the convenience of Federal Reserve services available to it… not because it has no other alternative (like the other 49 states). A state bank Act insures state bank deposits – the tax and fee dollars of the state’s taxpayers. The Bank of North Dakota is run in a very fiscally conservative manner… it is not subject to outside interference by politicians with a special project they want to fund. Credit policies chartered by state banks must be approved by a state bank advisory board. Bank of North Dakota is not involved in speculative loans or derivatives and other risky ventures… nor should any state bank be. State funds and tax monies are kept safe by a well-structured state bank. Such banks should be self-funded. Bank of North Dakota manages VA, FHA, and other federally-guaranteed loans that would otherwise go to large, out-of-state banks. When local communities partner with a state bank, it allows independent banks to fund local projects which sustain economic development within the community. The “too big to fail” banks have no interest in local communities. Studies show that from 30 to 50 percent of public project costs are composed of loan interest paid. Thus, the reduced cost of borrowing from a state bank can help fund infrastructure projects. An interesting article from the Honolulu newspaper appeared on June 27, 2011. It was a story about how the Hawaiian Bankers Association (the state association) opposes legislation being considered by that state’s legislature to implement a state bank. The new banking system does bring down certain power structures – like the ties that exist between state banking associations and the American Bankers Association – and legislators need to be prepared for such resistance. In North Dakota, their Bankers Association endorses the Bank of North Dakota. It should be noted that North Dakota has the most local banks per capita and enjoys the lowest default rate on loans of any state in the nation. Of the 93 banks doing business in North Dakota, 87 are state-chartered banks who have opted to become part of the new system – and who have prospered while other banks around the nation suffer lost profits of substance. The other six banks are nationally chartered. That is the ball on which everyone needs to stay focused: The win-win situation that results from implementing a state bank – which is well worth the headaches of getting the job done (and done right). The Federal Reserve is a private corporation owned by private investors, and though federally chartered, is “federal” in name only. The United States of America is $15 trillion in debt and counting, with no apparent end in sight; national debt is forcing negative repercussions within the State of Colorado. The federal government is currently spending $1.50 for every $1.00 of revenue collected which, in essence, renders debt repayment impossible because every dollar that is printed to pay the debt immediately creates 50 cents of more debt. The Federal Reserve both regulates monetary policy for and profits from the debt of the United States which creates a severe conflict of interest in eliminating the debt because by doing so corporate profits to the Federal Reserve are eliminated. The current economic model of “debt capitalism” implemented by the Federal Reserve has caused the only downgrade of the credit rating of the United States in history. To cover their losses, certain of America’s largest banks have become dependent upon perpetual bailouts funded by taxes collected from the America people and owed by the posterity of Colorado residents. Banks chartered by the federal system dominate finance in Colorado and should the federal banking system fail so, too, will banks chartered and regulated by the federal system. If the federal system fails, the Bank of North Dakota will be able to replace bank services lost… check clearing, credit card access, etc. Economic chaos can be avoided if the state of Colorado creates a state bank. C. In 2010, the worst economy in recent history, North Dakota had its largest state budget surplus in history while other states functioned in the red… some very deeply. D. North Dakota annually tops the list of state economies. E. In 2011, North Dakotans will see almost $500 million of their money returned to them in the form of income and property tax cuts. Combined 2009 and 2011 tax reductions, the average North Dakotan will enjoy a 30 percent drop in tax liability. The Legislature also funded $342 million in property tax relief. The owner of a $150,000 home will enjoy a tax reduction of $506. $2.125 million tax reduction, financial institutions (a drop 7 percent to 6.5 percent). G. No bank failures during the past ten years; the lowest home foreclosure rate in the nation; the lowest credit card default rate in the nation. 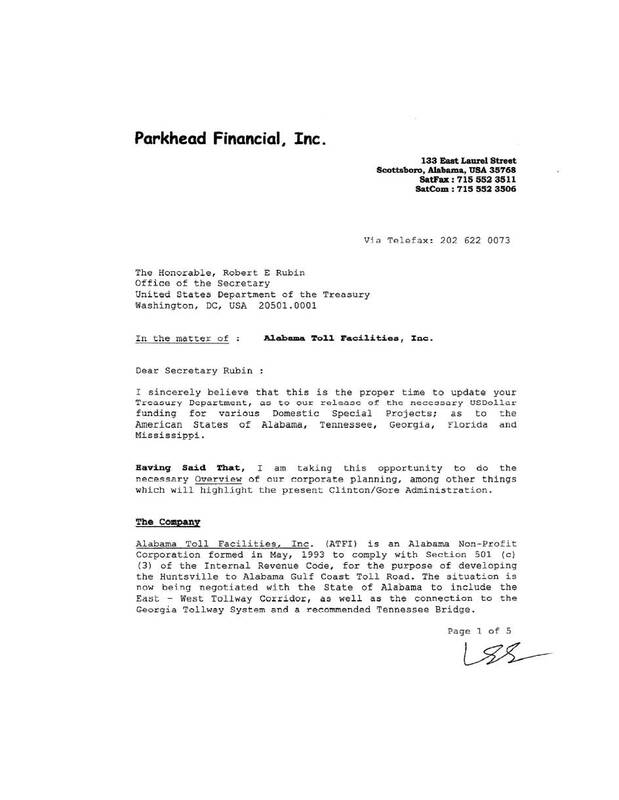 To duplicate the successful operation of the Bank of North Dakota, the specific purpose of which has been to provide an in-state repository for the holding, management and distribution of the fees and taxes collected in North Dakota to invest in North Dakota businesses and communities, other states should create a state bank that can in no way be used as a political toy. To achieve that, the founding documents of the Bank of North Dakota and updates to its policies and procedures must be utilized by legislators when a state bank is created. The Bank of North Dakota is limited in its scope and purpose. It does not compete with independent banks, it supports them. It administers and oversees and acts as a correspondent bank for independently-owned banks that deal with the public. It makes funds available for state, city and county government operations to the benefit of the people of North Dakota. The Bank of North Dakota is prohibited from competing in the private sector with privately-owned banks in North Dakota operating under state or federal charter; and has specifically created a structure within its State Bank Board that guarantees its Bank will function on behalf of the people and not be used as a political tool. The Bank of North Dakota is attributed with being the cause for the North Dakota economy topping the list of state economies year after year, and with being the only State that has had a continuous budget surplus since before the financial crisis of 2008; and while the rest of America has been enduring a recession, the state of North Dakota has enjoyed the largest budget surplus in its history. Some people try to eliminate the Bank of North Dakota as the reason for the State’s success, pointing to the Bakken Oil Fields as the state’s source of economic strength. Montana, however, has the largest portion of the Bakken Oil Fields, not North Dakota. In 2011, Montana faced a $62.5 million general fund budget deficit by June 30th. Its unemployment rate is 7.2 percent. Alaska produces twice as much oil as North Dakota but its unemployment rate is 7.2 percent. It also has budget problems. In fact, according to the publication State Budget Solutions, debt in all of the states in 2012 will exceed $4 trillion – but not in North Dakota. The Bank of North Dakota is attributed with why in 2011 the People of North Dakota saw almost $500 million returned to them in income and property tax cuts and will enjoy a 30% decrease in tax liability when combining 2009-2011 tax cuts. The Bank of North Dakota is attributed with being the reason why North Dakota has the lowest foreclosure rate, the lowest credit card default rate, and the lowest unemployment rate of any State (3.1%) in the nation. TO ENLARGE THE PAGES SO YOU CAN READ THEM, DOUBLE LEFT CLICK THE FIRST PAGE (YOU SOMETIMES HAVE TO ENCOURAGE IT A BIT... DOUBLE-CLICK MORE THAN ONCE). THE PAGE SHOULD ENLARGE AND THERE SHOULD BE A ROW OF "BOXES" AT THE BOTTOM OF YOUR SCREEN. EACH BOX IS A NEW PAGE. JUST CLICK ON IT AND IT WILL APPEAR, FULL-SIZED. A campaign issue has been handed to Republicans by Democrats. It appeals to Independents and Tea Party voters without offending traditional Republicans. A rare opportunity. “The cost for this line – which is a little over 80 miles – is $810 million, paid for by the federal government. The leading Republican candidate for Governor in my state, Scott Walker, is running television ads saying he’ll kill the train if you elect him. Those ads are resonating across Wisconsin. He’s saying, ‘If you elect me, I’ll kill this pork they’re trying to give us’ – and he sees it as a winning political issue. The federal government does not have the financial resources to implement promises made regarding high-speed rail – unless my great-grandchildren pay for it (even then it won’t be high-speed rail). For over a year, I have been writing that what the present administration offers is rapid transit (but cost estimates are compatible with more costly high-speed rail construction). See the articles at my blog. 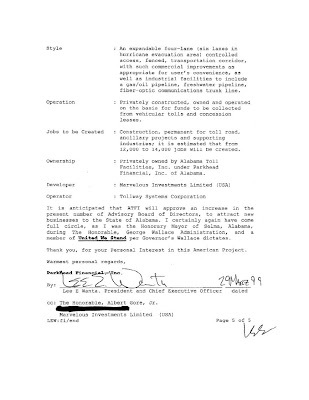 As you know, the federal government has since 1995 had an offer from a private investor to build high-speed rail nationally. “…Officials at Amtrak, which has minimal expertise in operating high-speed rail, don't see a problem topping out at only 110 mph. An infusion of billions of dollars in federal and state funding will mean better Amtrak service in the Midwest — just don't mistake it for true high-speed trains. The full transcript from the Rush Limbaugh Show and the Chicago Tribune article can be found at my blog. My notes from a radio interview I did with Chuck Wilder are there and answer many high-speed rail questions. I hope you find it helpful. President Obama’s announcements (about Florida, last February) made me ask: How does a bullet train build to maximum speed (222 mph) when traveling to a destination only 75 miles away (Orlando-Tampa) – and still have time to slow down safely and stop? The answer: Such stops should be exceptions. Yet, these short-stop routes are the very heart of the Obama Plan. Ohio is scheduled to get $400 million for rail from Cincinnati to Cleveland. In 1935, a steam engine pulling a train took 5+ hours to make the trip. The new service takes more than an hour longer (I have the 1935 rail pamphlet). It’s a four-hour drive. It’s a 2 to 3 hour trip by high-speed rail (a clean air trip). Ohio will be $17 million a year in the red if they accept these funds. Pork barrel spending: Americans are sick of it and that’s why Mr. Walker’s ads about high-speed rail resonate not just in Wisconsin, but with all of us. President Obama’s short stops reveal his plan is rapid transit, not high-speed rail. Real bullet trains would go through Florida at 222 mph, take the line down the state’s middle and use rapid transit to move people from an Orlando hub to Tampa (and elsewhere) while the bullet train regains max speed and goes on to Miami or Ft. Lauderdale. The same is true of Chicago-Milwaukee-Madison-Detroit line. This difference in strategies is easily seen on the two maps. High-speed rail can create two million jobs if done nationally and in a coordinated manner. All states need jobs. America needs a high-speed rail system to catch up with Japan, China, France, and other nations, let alone compete. America does not need a rapid transit system being sold to the people as (and at the cost of) high-speed rail. This plan in no way equalizes American high-speed rail with the rest of the world. 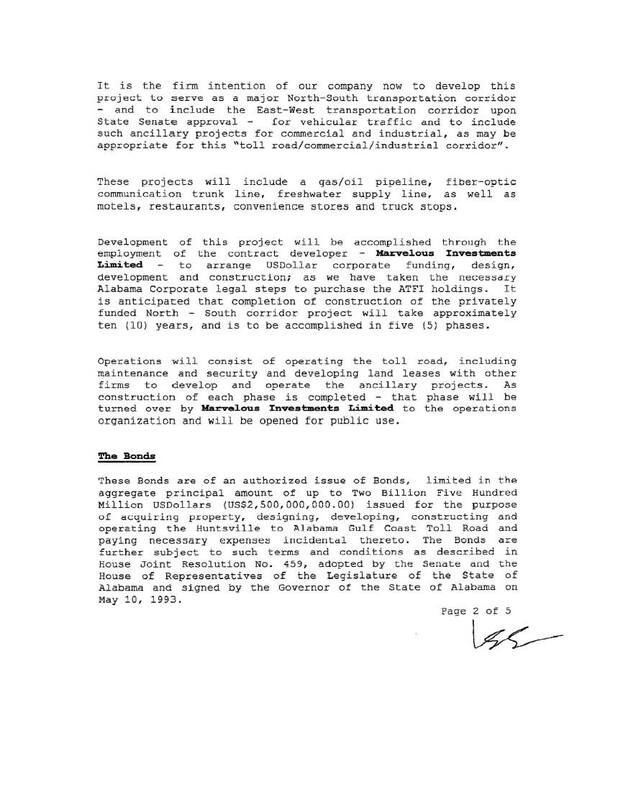 Rapid transit at high-speed rail costs is being constructed (as the Chicago Tribune article evidences). This issue resonates with Independents and Tea Party members without attacking the Republican base. People are sick of pork barrel spending. They are even sicker of political lies and deceit – whether it’s a Mosque in the wrong place or non-existent high-speed rail. This issue resonates. After listening to your video addressing the concerns of a school teacher about union issues and education costs, it is clear the people of New Jersey are well served by you. Having lived in Ohio and taken the drive from Cincinnati to Cleveland many times, I couldn’t believe it when Rob Nichols told me the rail plans for Ohio turn the trip into almost seven hours – slower than the old steam engines. What a great campaign issue they’ve handed you! I hope the enclosed information about high-speed rail – the real high-speed rail, not the rapid transit the Obama Administration wants to build (though 39 mph is hardly rapid rail, is it?) – is helpful to you in planning the best way to stimulate Ohio’s economy. Properly done (that means nationally) it can create two million jobs within two years. As a career banker and bank consultant, if I were running for a governorship right now, I’d be pushing high-speed rail and offering middle-class Americans an opportunity to put their money into something more meaningful than worthless derivatives. If taxpayers don’t like the HSR deal that’s on the table (it would be nice if they could hear about it), then offer them the opportunity to invest tax free IRA dollars in a project that will put Ohioans and other Americans back to work. By destroying the value of personal real estate, government has already destroyed the major asset that defines “middle class”: The value of people’s homes. A bottom cannot be firmly put under the real estate market until the employment rate justifies it. “The cost for this (train) line – which is a little over 80 miles – is $810 million, paid for by the federal government. The leading Republican candidate for Governor in my state, Scott Walker, is running television ads saying he’ll kill the train if you elect him. Those ads are resonating across Wisconsin. He’s saying, ‘If you elect me, I’ll kill this pork they’re trying to give us’ – and he sees it as a winning political issue. As has become apparent, the federal government does not have the financial resources to implement the high-speed rail promises made. Since an offer to build high-speed rail using private funds and no tax dollars has been on the federal government’s table since 1995, the hesitation to support the private sector is more than slightly puzzling… especially since this project creates so many jobs when implemented nationally. Further, they pay all operating costs. Too, as I have written for over a year, though the Obama Administration sys it offers high-speed rail, it offers rapid transit (but cost estimates appear to be compatible with those of more costly high-speed rail construction). “Bullet trains routinely operate at 150 to 220 mph. It's the performance level Illinois should be shooting for, said state Sen. Martin Sandoval, D-Chicago, who is chairman of the Illinois Senate Transportation Committee. “The genuine article, service at up to 220 mph, is being planned in California and Florida. It already exists to a lesser degree on Amtrak Acela Express trains that get up to 150 mph on small portions of the route between Boston, New York, Philadelphia and Washington. 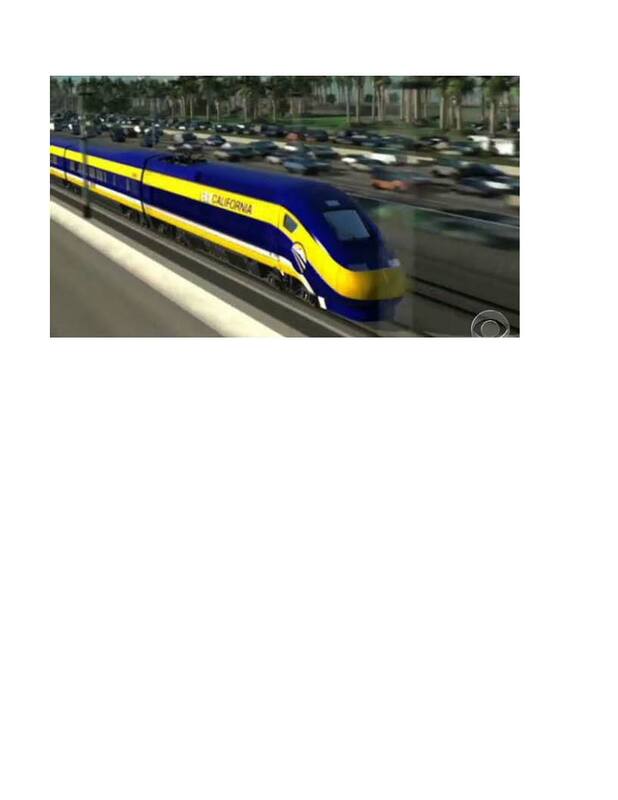 The full transcript from the Rush Limbaugh Show and the complete Chicago Tribune article can be found at my high-speed rail blog (along with several articles I have written on the subject) at: http://hsr-marilyn.blogspot.com . I hope this information helps you help the Great State of Ohio recover from the current economic downturn! 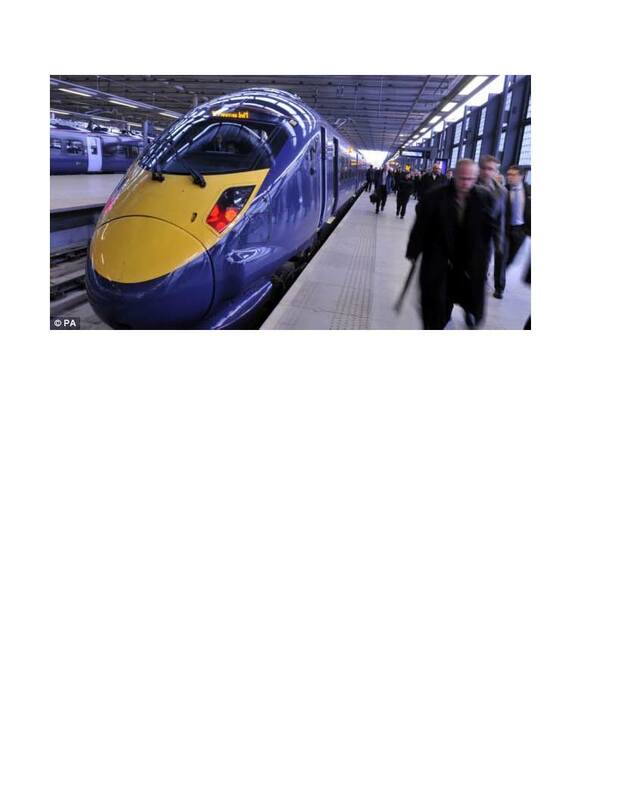 PUBLISHED: 04:20 EST, 18 January 2013 | UPDATED: 05:10 EST, 18 January 2013 The full impact across the country of the £33bn high-speed rail project is to be unveiled by the Government within weeks, it has been reported. Passengers between major cities will see journey times slashed, by half in many cases, by the second phase of the project. The Department for Transport will detail its calculations of the effect on provincial Britain when it confirms the route for the latest stage, which takes the line to Leeds and Manchester. Passengers between major cities will see journey times slashed, by half in many cases, by the second phase of the high-speed rail project. The new 225mph trains will see journey times slashed dramatically between the UK's provincial cities, according to The Telegraph. The Government believes the North's economy will be transformed, but critics believe many passengers could be priced out of using the trains, if a high-speed premium is charged. Graham Stringer, Labour MP for Blackley and Broughton, said the HS2 second phase announcement was a 'watershed moment' for Britain. He said: 'What HS2 will do is bring the North and the Midlands closer together, creating a new economic hub that, for the first time in our history, will provide some proper competition to London. The first stage of HS2 from Euston to Birmingham is due to open in 2026, with the second stage expected to be completed in another six years. 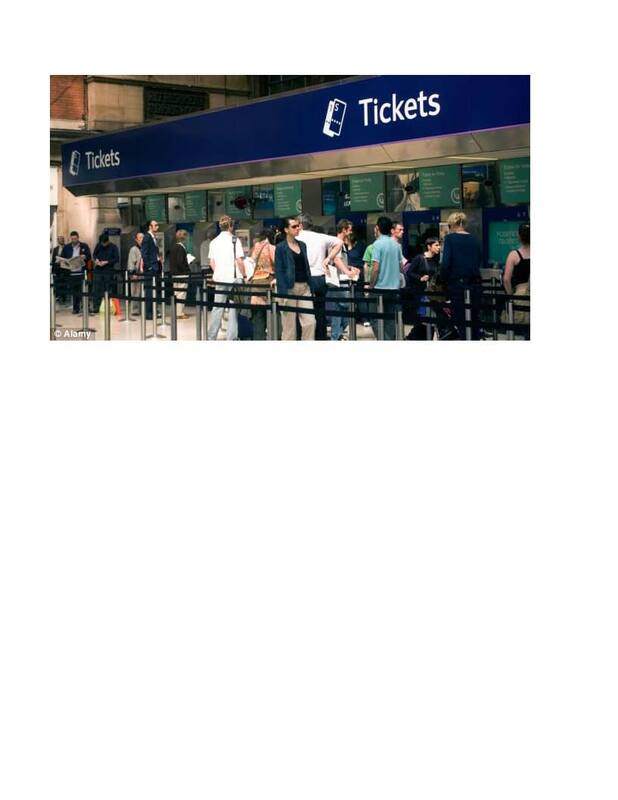 Passengers travelling from Birmingham to Manchester will see their journey time cut from 88 minutes to 49, while those going further north to Newcastle will spend 127 minutes on the trip, compared with the current 194. Meanwhile, a journey between Leeds and Nottingham will fall from 115 minutes to 29, and those travelling to Sheffield will fall to 17 minutes from 41. The aim is for manufacturers to design trains that will work for both systems. In the process, their combined buying power should generate better pricing from manufacturers. "By combining our buying power, potentially, we can drive the market in a way that we can't if we purchase separately," said Jeff Morales, CEO of the California High-Speed Rail Authority. The arguments can be quibbled with… and are (from various sources with other vested interests)… but these guys do indeed make a point that could easily apply to a MagLev HSR system if it is run as an on-demand active track system. The motivations may be a bit from left field, but direct conversion back to direct use makes sense in terms of round-trip system efficiency. At 24% to 36% efficiency, internal combustion systems are not very competitive with direct electric propulsion. But that’s just the consumption side of the problem. The other side of the issue is the conversion from solar to fuel. Again, they have a point that bio fuel based systems are not going to be competitive there either. Comparing biofuel systems and their associated conversion losses In/Out, the current PV numbers win. The newer model low-reflectance panels (carbon nano rod and nano lattice gold) will add to the PV efficiency and the multi-layer methods will add even more. And thus far, nobody has put the two approaches together to see just how far the collection efficiency for PV can be pushed. That needs to be done to see where the kilowatt capture numbers will land. Even 30 minute dispatch times for the HSR would not tax a good PV system with a battery storage energy holding arrangement. The track is going to be off most of the time anyway. Only the activated sections need to be switched on and left running in anticipation of a transit event. At 300 mph the MagLev would be moving at 5 miles per minute. A one minute buffer would translate to 5 miles of activated track. A two minute buffer would equal 10 miles… etc.. Transit buffer lengths could be predicated on safety response times for the engineer-operator and the safe stopping distance needed under full load conditions during Summer operations. Either way, the PV approach for segment activated track needs to be looked at for systemic efficiency since they would be off most of the time and would have plenty of recharge time between transit events. Personally, I don’t buy into the greenhouse gas emissions arguments that are used these days. The only argument that counts is bottom line cost-per-transit. The cheapest way to achieve the lowest operating cost is the lodestar that should guide the design approach. Diesel electric has been around for a long time now and has proven to be very efficient for normal hard rail operations. There is a reason why they use it. It’s cheaper. Now automobiles are moving in that same direction. But if an all electric operation method can ace the hybrid approach, then for on-going operations that should be considered. Again, repetitive bottom line use/cost per transit would be the ultimate issue. Having the Sun as an operating partner (cost reduction) does make a certain amount of sense. A new spatially-explicit life cycle assessment of five different “sun-to-wheels” conversion pathways—ethanol from corn or switchgrass for internal combustion vehicles (ICVs); electricity from corn or switchgrass for battery-electric vehicles (BEVs); and photovoltaic electricity for BEVs—found a strong case for PV BEVs. According to the findings by the team from the University of California, Santa Barbara and the Norwegian University of Science and Technology, published in the ACS journal Environmental Science & Technology, even the most land-use efficient biomass-based pathway (i.e., switchgrass bioelectricity in US counties with hypothetical crop yields of more than 24 tonnes/ha) requires 29 times more land than the PV-based alternative in the same locations. Direct land use, life cycle GHG emissions (excluding indirect land use change), and life cycle fossil fuel requirements to generate the transportation services provided by 17.8 × 1012 MJ NCV of gasoline, the amount used in transportation in the US in 2009. Credit: ACS, Geyer et al. Furthermore, PV BEV systems also have the lowest life cycle GHG emissions throughout the US and the lowest fossil fuel inputs, except for locations with hypothetical switchgrass yields of 16 or more tonnes/ha. Including indirect land use effects further strengthens the case for PV BEVs, the researchers suggested. Biofuels for ICVs and bioelectricity for BEVs use photosynthesis to convert solar radiation into transportation services, that is, they are sun-to-wheels transportation pathways. While photosynthesis has a theoretical maximum energy conversion efficiency of 33%, the overall conversion efficiency of sunlight into terrestrial biomass is typically below 1%, regardless of crop type and growing conditions. Therefore any biomass-based energy pathway is very land-use-intensive. As a result, biomass-based transportation pathways are increasingly seen as a threat to food supply and natural habitats. A third type of sun-to-wheels pathway is the use of photovoltaics (PV) to convert sunlight directly into electricity for BEVs...Existing environmental assessments of biofuels and photovoltaic energy pathways use average biomass and PV yields, even though these yields vary widely between geographical locations. Spatially-explicit assessments are more informative, since pathway performance depends on location, and land use decisions are always local by nature. This article presents life cycle assessments of five different sun-to-wheels conversion pathways for every county in the contiguous U.S: Ethanol from corn or switchgrass for ICVs, bioelectricity from corn or switchgrass for BEVs, and PV electricity for BEVs using cadmium telluride (CdTe) solar cells. The assessments include the production and use of the transportation energy (the fuel cycle) and the life cycle of the vehicle. 1. Land area required for the corn and switchgrass fields or the PV installation—i.e., direct land use measured in m2/100 km driven. 2. Total global warming potential from the vehicle and fuel life cycles, measured in kg CO2 equiv/100 km driven. 3. Total fossil fuel consumption from the vehicle and fuel life cycles, measured in MJ of net calorific value (NCV) per 100 km driven. The system boundary includes vehicle production, use, and end-of-life management, as well as fuel production and use. In the case of PV electricity, the fuel cycle consists of production, use, and end-of-life management of the PV system. · NCV of corn and switchgrass is 18 MJ per kg, and that 2.53 kg of corn and 2.62 kg of switchgrass are required to produce 1 L of ethanol with 21.2 MJ NCV. · Energy consumption and GHG emission values of the biorefineries include coproduction credits and in- and out-bound logistics. The crop-to-electricity conversion model assumes that half of the biomass is converted in biomass boilers and the other half is co-combusted with coal to generate electricity. · Inventory models for both product systems are based on Ecoinvent data and reports. A biomass-to- electricity conversion efficiency of 32% was used, and an electricity transmission and distribution efficiency of 92%. · The PV system life cycle is based on 2005 technology and production data. Economic input−output life cycle assessment (EIOLCA) was used to derive energy and GHG values for the production of a compact ICV; data on 2005 Li-ion battery technology was added to model PHEVs of equivalent size. The resulting energy and GHG values are 102,000 MJ and 8,500 kg CO2eq per compact ICV, and 1700 MJ and 120 kg CO2 equiv/kWh of Li-ion battery. A 150 km (93-mile) -range BEV model was derived by increasing the battery size in the PHEV model. This may overestimate GHG emissions and fossil fuel consumption of BEV production, the researchers noted, since they merely added the battery to an ICV and did not deduct the internal combustion engine or related components. Together with the maximum range of 150 km and a maximum depth of discharge (DOD) of 0.8, the BEV energy demand translates into a required battery size of 33.75 kWh. The life cycle mileage of both vehicles is assumed to be 240,000 km (149,000 miles). Among their findings were that relative to the gasoline baseline, the PV and switchgrass scenarios would also reduce associated GHG emissions and fossil fuel consumption from production and use of vehicles and fuels by 75−80% relative to gasoline ICVs. The PV-based pathway would reduce life cycle GHG emissions, including vehicle production, by almost 80%, from 1.92 to 0.41 billion tons of CO2 equiv. Vehicles powered with switchgrass electricity or ethanol come second and third with 0.46 and 0.48 billion tons of CO2 equiv, yet these numbers do not include any GHG emissions from indirect land use change, the researchers noted. The three sun-to-wheels pathways with the lowest fossil fuel requirements are switchgrass ethanol for ICVs; switchgrass electricity for BEVs; and PV electricity for BEVs; with 4.7, 5.4, and 5.2 trillion MJ. For both BEV-based pathways, more than 85% of fossil fuels are consumed during vehicle production. Of all the 5 sun-to-wheels systems, corn ethanol for ICVs had by far the highest land requirements, GHG emissions, and fossil fuel requirements. Assuming that the economics of PV and BEV technology will further improve and issues of material availability, and electricity transmission and storage can be resolved, PV offers land-efficient and low-carbon sun-to-wheels transportation. Unlike fuel crops, PV electricity does not have to compete with food production and biodiversity for fertile land and could potentially replace all gasoline used in US transportation. Where can the new Congress start cutting spending? Here’s one obvious answer: high-speed rail. The Obama administration is sending billions of stimulus dollars around the country for rail projects that make no sense and that, if they are ever built, will be a drag on taxpayers indefinitely. Walker argued that Wisconsin didn’t need $810 billion for a 78-mile line between Madison and Milwaukee because there’s already a transportation artery — Interstate 94 — that enables people to get from one city to the other in a little more than an hour (I once drove that route to have dinner in Milwaukee). Kasich’s rationale? “They tried to give us $400 million to build a high-speed train that goes 39 miles an hour.” Train boosters countered that its top speed was 79 miles per hour — about the same as many drivers on Interstate 71. High-speed rail may sound like a good idea. It works, and reportedly even makes a profit, in Japan and France. If they can do it, why can’t we? It would connect two highly decentralized metro areas that are already connected by Interstate 4. Urban scholar Wendell Cox, writing for the Reason Foundation, found that just about any door-to-door trip between the two metro areas would actually take longer by train than by auto — and would cost more. Why would any business traveler take the train? As for tourists headed for Orlando’s theme parks, there is already a convenient rental car operation, with some of the nation’s lowest rates, at the Orlando airport. Why would parents get on a train, pay a separate fare for each kid and then rent a car at the station when you could more easily get one at the airport? As Cox points out, cost estimates for the Florida train seem underestimated and the ridership estimates seem wildly inflated. If he’s even partially right, Florida taxpayers will be paying billions for this white elephant over the years. None of these high-speed projects are really high-speed. Japan has bullet trains that average 171 miles per hour, France’s TGV averages 149 miles per hour. At such speeds you can travel faster door-to-door by train than by plane over distances up to 500 miles. In contrast, Amtrak’s Acela from Baltimore to Washington averages 84 miles per hour and the Orlando-Tampa train would average 101 miles per hour. That makes the train uncompetitive with planes on trips more than 300 miles. The answer is not very many outside of the Northeast Corridor between Washington and Boston. Our geography is different from France’s or Japan’s. Moreover, to achieve the speed of French and Japanese high-speed rail, you need dedicated track so you don’t have to slow down for freight trains. To get dedicated track, you need a central government that is willing and able to ignore environmental protests and not-in-my-backyard activists. Japan and France have such governments. We don’t. So we are spending billions on high-speed rail that isn’t really high speed, that will serve largely affluent business travelers and that will need taxpayer subsidies forever. This should be a no-brainer for a Congress bent on cutting spending.